Meeting Agenda – Thursday, August 9th, 2018 – Sunnyside United Neighbors Inc.
Sign me up for the SUNI newsletter! Get updates about Sunnyside Neighborhood. WalkDenver needs YOUR input for a street mural at 41st and Navajo! Join now to get a 2017 SUNI Local's Member Benefit Card. Our group is open to anyone interested in the past, present and future of the Sunnyside neighborhood in historic Northwest Denver. Become a Business Sponsor by donating at least $99 to SUNI. 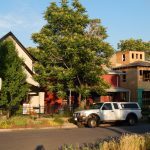 Sunnyside United Neighbors, Inc. (SUNI) is your source of information for everything you need to know about Northwest Denver's Historic Sunnyside community. SUNI is made up of residents, businesses and organizations from the neighborhood, and it is committed to making Sunnyside a great place to be. SUNI is a tax exempt 501(c)(3) organization . © 2015 Sunnyside United Neighbors Inc. Denver, CO. Website development by Flow Simple.